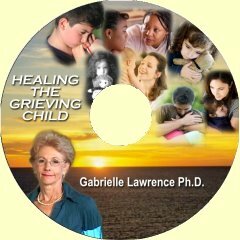 Healing the Grieving Child - Health 4 Relationships - Gabrielle Lawrence Ph.D.
For many years it was believed that children, especially young children, were not severely impacted by the death of a loved one or by other serious losses. Today, we know that is not true. We know that children may be profoundly impacted by serious losses in their lives. They grieve differently than adults but they do grieve. Childhood grief, if it is not dealt with in childhood, can create serious complications throughout a person's life time. It can result in, chronic anger, depression, anxiety, problems with trust and intimacy and problems with health. Because of this, it is important to know how to identify and treat childhood grief.